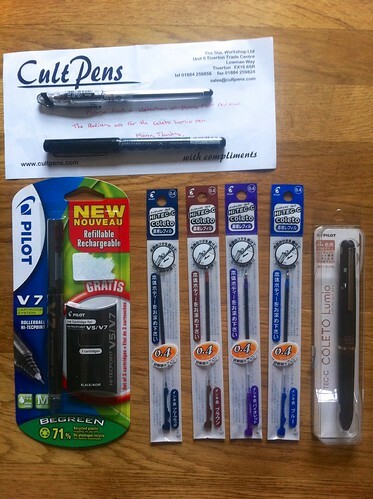 The wonderful people over at Cult Pens have agreed to sponsor my site again! (How lucky am I?). Look at what wonderful items to review turned up this morning. All the above pens will be reviewed during the month of March. This will give me enough time to test out each pen.